For a fairly small island, Maui has its share of talented clothing and swimwear designers and seamstresses : Please add a comment below if you or someone you know should be added to this list! 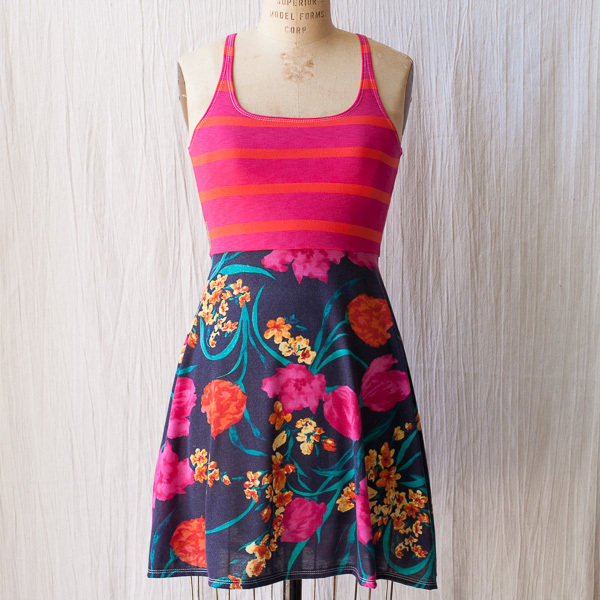 If you are lucky enough to be wearing a Maggie Coulombe dress, all eyes are on you. She has dressed celebrities on and off the red carpet and her designs have been featured in Elle, Instyle and other fashion and celebrity magazines. Inspired by her globetrotting lifestyle and the natural beauty of her Hawaiian home, Maggie Coulombe has created a collection that accents the essence of all women. Fashionistas from around the world frequent The Maggie Coulombe Store, located at Whaler’s Village in Kaanapali, Maui, click to shop online. Tamara Catz – Contemporary resort clothing, bathing suits, wedding and bridesmaids dresses. Born and raised in Argentina, Tamara started designing her own lines at age 18. After traveling the globe with her husband, professional windsurfer Francisco Goya, they decided to settle on Maui. In 2000, she launched her line with immediate success, selling to boutiques and department stores all over the US and Japan. In 2005, Tamara opened her first boutique in Paia, Maui and two years later she launched her Bridal collection. In 2013, a second shop was opened in Venice, CA. Click to shop online. BoxEleven – Handmade women’s clothing and accessories. A few years ago, Katie Browne combined a few of her favorite things, fabric, shopping and thrift stores, with a talent for sewing, and started creating unique women’s apparel and handbag designs, which she now sells under the label BoxEleven. On Maui, you can see her designs at Wings Hawaii in Paia, the Hui Noeau shop in Makawao, and on Hawaii Island at Pueo Boutique in Kailua Kona. Wings Hawaii – Handmade and silkscreened clothes, jewelry. Wings Hawaii grew from a school art project at University of Hawaii into one of Maui’s most successful clothing lines. Wings features a hand-sewn collection, which are designed and fabricated from scratch in their Haiku studio. They are also known for their hand dyed and screen printed line, complete with original artwork. Wings also has their own jewelry line, each item handmade in the studio. Visit Wings Hawaii in their beautiful flagship store in Paia, Maui, click for list of stockists, or Click to shop online. Featuring two distinct shops on Maui, Cy Maui in Wailea, at the Shops at Wailea, and Ha Wahine in Wailuku on North Market. Cy Maui is known for their handpainted silk in flattering cuts and designs, and Ha Wahine, featured Hawaiian-inspired designs on rayon, with each item sewn on Maui. Give them a call to place your order. Maui Girl Fashions, Photo by AshleyCamper.com, as featured in Mokulele in-flight magazine. Maui Girl & Co.has been a landmark on the North Shore of Maui for over 30 years. Located in the heart of Paia, Maui Girl & Co., has been voted the “Best Bikini Boutique” of Maui for the last 5 years. Designer and boutique owner, Debbie Kowalski Wilson, has been designing and selling her pieces since the 70’s. She made the switch from vintage reconstructed pieces to bikinis in the early 80s. Maui Girl Swimwear frequently makes appearances in the Sports Illustrated Swimsuit Issues, with a record 14 suits in the 2013 issue. Maui Girl suits are available online, but to make things even easier for mainland customers, the line will be looking to expand to stockists across the country in 2014. Pashey Bella was created by two water girls, born and raised on Maui. At the ages of 14 and 12, Talia and Tehani Gangini, learned how to make bikinis, which blossomed into a small business in 2007 called Manini Gangini Bikinis. Their goal is to design active swimwear that is functional and flattering. In 2012, they changed the name of the company to Pashey Bella (Pashey being Talia’s middle name and Bella being Tehani’s). While they currently still make all their swimwear by hand in their 400 square foot shared room, this coming January 2014, Pashey Bella will be launching their first collection which will be made in the USA. The line will include all new designs and patterns, and will enable active women to have a functional, active swimwear with good coverage. In addition to designing swimwear, Talia Gangini Decoite started her own jewelry business at the age of 12, and in 2009 became the youngest designer to be featured on the cover of the Sports Illustrated Swimsuit Issue with a featured necklace. She also travels the world as a professional stand-up paddler. Click to shop online. Bitty Bambu’s designs are influenced by the beauty of the natural environment, and the spirit of childhood. Designer and seamstress Taryn has a background in Landscape Architecture, but discovered her passion for sewing not long after having kids. “I enjoy making clothing that is beautiful, colorful, and playful – all the elements that I believe every childhood should be full of.” Bitty bambu can be found in boutiques around the islands, on the mainland and as far as Australia, and on Etsy. 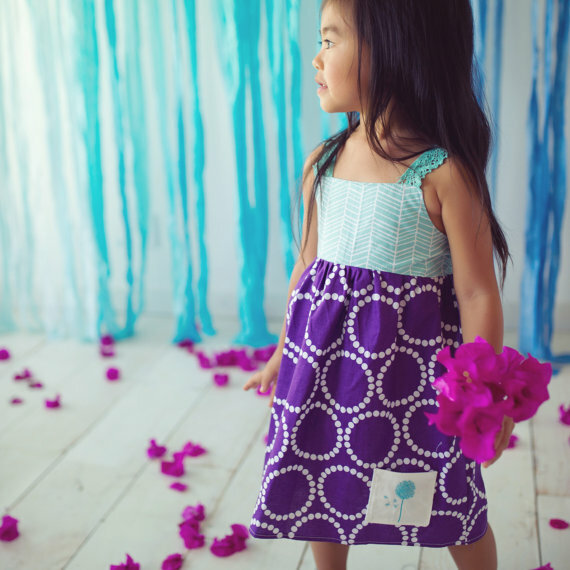 Happy Honu Maui – colorful, island-inspired children’s clothing and blankets. Happy Honu Maui is made in Hawai’i with creative dreams mixed with the aloha warmth of the islands. Maui author, painter, illustrator, designer, teacher, and mom Judi Riley has been known in Hawai’i since the early 1990s for her creative, one-of-a-kind and tropical colored Happy Honu Maui kids clothes and Tiki Tales books. What began as a book series that celebrates the Hawaiian islands, evolved into a whole line of island-inspired, quality, durable and comfy creations for keiki. Judi Riley’s designs also include silkscreened shirts, dresses and onesies, all hand-screened on Maui by A Make Believe Company. Available in boutiques across Hawai’i and on the mainland USA, and click here to visit the website or the Etsy Shop.